If we discuss about the first largest cryptocurrency – Bitcoin having its current market cap stands at $59,941,469,384 (03:46 UTC) on February 07 dropped in current value by 17% relative to January 06 however it up again by 5.32% compared to December 14 as interpreted from the graph above. The primary causes for the decline in value are of course the competitive pressure, the bearish moments, and macro factors from around the world. Since the current value traded below 20-day EMA, so it signifies downtrend. Since both moving averages have significantly declined since mid-November representing a negative sign. The BTC shows that the bears have the upper hands and may continue until the next “uptrend” takes place. Let us talk about a specific milestone that this cryptocurrency attained in the recent past. The BTC remained range bound from December 17 to December 23 last year, as the cryptocurrency rallied from a low of $3793 to a high of $4388 which is a 15.6 percent return within six days. Based on the current scenario, the next support level could be $3482. Ripple, the second largest cryptocurrency with its current market cap stands at $12,059,717,575 (03:46 UTC) on February 07 slashed in current value by 29% relative to December 24 as interpreted from the graph above. The strong bearish pressure caused a drop in value corresponding to December 24 as we can analyze from the graph above that since both moving averages have significantly declined to represent a negative sign. With this, the current value traded below 20-day EMA representing ‘downtrend.’ The XRP shows that the bears have the upper hands and may continue until the next “uptrend” takes place. Now let me walk you through a specific milestone that this cryptocurrency attained in the recent past. 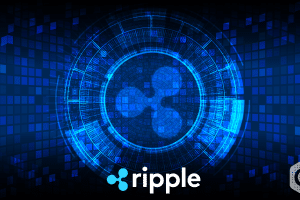 The XRP remained range bound from December 15 to December 24 last year, as the cryptocurrency rallied from a low of $0.29186 to a high of $0.4700 which is a 61 percent return within nine days. Based on the current scenario, the next support level could be $0.300. The third largest cryptocurrency- Ethereum with its current market cap stands at $11,021,771,547 (03:46 UTC) on February 07 dropped in current value by 33.33% relative to January 06 however it up again by 25.5% compared to December 15 as interpreted from the graph above. Since the ETH/USD pair experienced downtrend as understood from the graph above. The major competitive forces and bearish pressures caused a drop in value. Since both moving averages have significantly declined to represent a negative sign, the ETH shows that the bears have the upper hands and may continue until the next “uptrend” takes place. 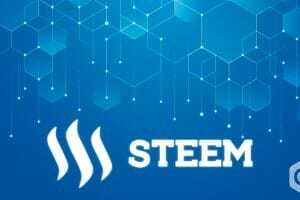 Let us talk about a specific milestone that this cryptocurrency attained in the recent past. The ETH remained range bound from December 27 to January 01, as the cryptocurrency rallied from a low of $115 to a high of $163 which is a 41.7 percent return within five days. Based on the current scenario, the next support level could be $108. When we discuss about the fourth largest cryptocurrency – EOS having its current market cap stands at $2,144,153,157 (03:46 UTC) on February 07 dropped in current value by 19.4% relative to January 09 however it up again by 36% compared to December 07 as interpreted from the graph above. Since the current price traded adjacent to 20-day EMA and may expect to uptrend soon, traders should remain on sidelines until the next uptrend takes place. The fall in value relative to January 09 due to the strong bearish pressure that EOS experienced. All those community users that long awaited to invest in this altcoin should wait until the next uptrend takes place while both moving averages have significantly declined to represent a negative sign. The EOS shows that the bears have the upper hands and may continue until the next “uptrend” takes place if we discuss a specific milestone that this cryptocurrency attained in the recent past where the EOS/USD pair remained range bound from December 27 to January 01 as the cryptocurrency rallied from a low of $2.36 to a high of $3.03 which is a 28 percent return within 4 days. Based on the current scenario, the next support level could be $2.45. Bitcoin Cash, the fifth largest cryptocurrency with its current market cap stands at $2,058,387,646 (03:46 UTC) on February 07 dropped in current value by 37.6% relative to December 23 however it increased in value by 56% compared to December 15 as interpreted from the graph above. As we can analyze from the chart about that the current value is expected to cross the 20-day EMA by creating ‘uptrend’ thereby offering the best return to all those that have invested in this altcoin. Since both moving averages have been declining representing a negative sign, the BCH shows that the bears have the upper hands and may continue until the next “uptrend” takes place. Let us talk about a specific milestone that this cryptocurrency attained in the recent past where the BCH/USD pair remained range bound from October 29 to November 06 last year, as the cryptocurrency rallied from a low of $419 to a high of $632 which is a 50.8 percent return within nine days. Based on the current scenario, the next support level could be $125. Tether, the sixth largest cryptocurrency with its current market cap stands at $2,025,215,010 (03:46 UTC) on February 07 dipped in current value by 3.38% relative to January 06 however it gained in value by 0.43% compared to February 04 as interpreted from the graph above. The strong bearish pressured that caused a drop in value relative to January 06 and the same is expected to continue as the current value traded below the 20-day EMA thereby creating ‘downtrend.’ Since the USDT/USD shows that the bears have the upper hands and may continue until the next “uptrend” takes place. Let us talk about a specific milestone that this cryptocurrency attained in the recent past. The remained range bound from December 14 to December 23 last year, as the cryptocurrency rallied from a low of $1.0156 to a high of $1.05517 which is a 3.9 percent return within nine days. Based on the current scenario, the next support level could be $1.0135. The seventh largest cryptocurrency – Litecoin having its current market cap stands at $1,998,988,835 (03:46 UTC) on February 07 dropped in current value by 15.3% relative to January 08 however it was up by 43.5% compared to December 13 as interpreted from the graph above. This altcoin currently traded in line with 20-day EMA and may create uptrend soon. Traders that have invested in these assets may explore to create a long position. 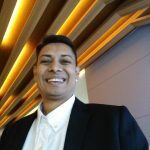 Let me walk you through a specific milestone that this cryptocurrency attained in the recent past. The LTC remained range bound from December 27 to January 05 as the cryptocurrency rallied from a low of $29 to a high of $41.5 which is a 43 percent return within nine days. Based on the current scenario, the next support level could be $36. If we discuss the eighth largest cryptocurrency – Tron with its current market cap stands at $1,737,840,693 (03:46 UTC) on February 07 dropped in current value by 10.5% relative to January 27 however it up again by 25.9% compared to January 13 as interpreted from the graph above. Since the TRX/USD pair traded above the 20-day EMA as explained from the chart above, we can quickly estimate the “uptrend” in value. 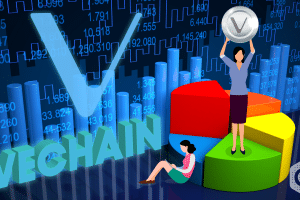 Let us not forget that the significant fall in value relative to January 27 due to the strong bearish pressure, however, this altcoin has started gaining in importance to all those that have invested in this. Let us elaborate more about a specific milestone that this cryptocurrency attained in the recent past. 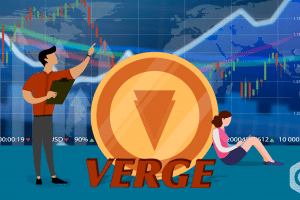 The TRX remained range bound from December 28 to January 09 as the cryptocurrency rallied from a low of $0.01875 to a high of $0.03023 which is a 61 percent return within 12 days. Based on the current scenario, the next support level could be $0.030. The ninth largest cryptocurrency – Stellar having its current market cap stands at $1,421,015,092 (03:46 UTC) on February 07 dropped in current value by 43.9% relative to December 24 as interpreted from the graph above. The current value traded below the 20-day EMA that states significant “downtrend” in value. Since we can analyze from the graph above that the XLM/USD pair experienced “oversold” zone on February 05, however at present it created upward pressure and come in the range of 14-day RSI. The major fall in value relative to December 24 due to the strong bearish pressure. Since both moving averages have significantly declined to represent a negative sign following which XLM shows that the bears have the upper hands and may continue until the next “uptrend” takes place. Let us talk about a specific milestone that this cryptocurrency attained in the recent past. The XLM remained range bound from December 15 to December 23 last year, as the cryptocurrency rallied from a low of $0.0959 to a high of $0.1476 which is a 53.9 percent return within eight days. Based on the current scenario, the next support level could be $0.080. The tenth largest cryptocurrency – Binance Coin with its current market cap stands at $1,167,416,949 (03:46 UTC) on February 07 gained in current value by 47.9% compared to January 13 as interpreted from the graph above. As we can analyze from the graph above that the current value traded above the 20-day EMA elaborating “uptrend” in value. Traders that long awaited to invest in this altcoin should look forward to creating a long position. Now let me walk you through a specific milestone that this cryptocurrency attained in the recent past. 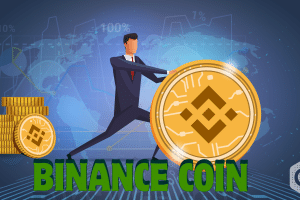 The BNB remained range bound from December 28 to January 08 as the cryptocurrency rallied from a low of $5.4698 to a high of $7.179 which is a 31.25 percent return within 11 days. Based on the current scenario, the next support level could be $0.080. If we discuss the eleventh largest cryptocurrency – Bitcoin SV having its current market cap stands at $1,131,707,143 (03:46 UTC) on February 07 dropped in current value by 43.8% relative to December 20 however it up again by 53% compared to November 22 as interpreted from the graph above. The major causes for the decline in value are of course the competitive pressure, the bearish moments, macro factors from around the world. Since the current value traded below the 20-day EMA thereby creating ‘downtrend’ in value. Since both moving averages have significantly declined in the past representing a negative sign, with this, BSV shows that the bears have the upper hands and may continue until the next “uptrend” takes place. Let us talk about a specific milestone that this cryptocurrency attained in the recent past. 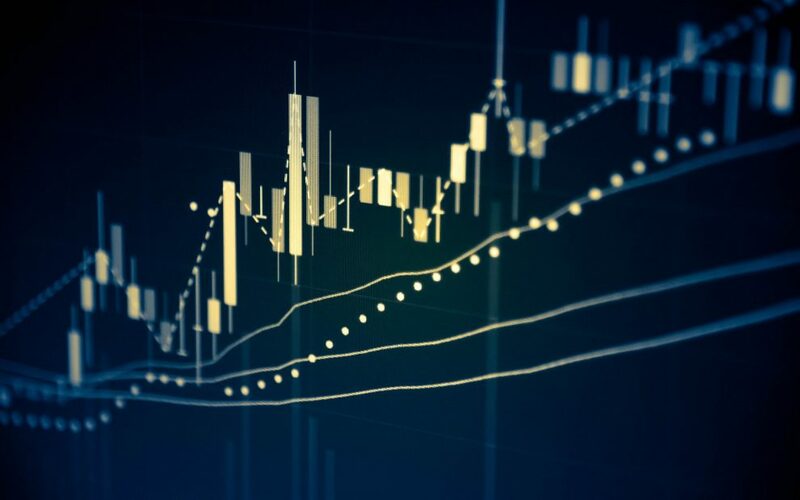 The BSV remained range bound from December 15 to December 20 last year, as the cryptocurrency rallied from a low of $69.74 to a high of $126 which is an 80.6 percent return within five days. Based on the current scenario, the next support level could be $66. When it comes to discussing the twelfth largest cryptocurrency – Cardano having its current market cap stands at $946,918,326 (03:46 UTC) on February 07 dropped in current value by 24.3% relative to January 09 as interpreted from the graph above. Since the current value traded above the 20-day EMA signifies significant “uptrend” in value which can be analyzed from the graph above, let us not forget that the major fall in value relative to January 09 was due to strong bearish pressure and competitive forces. With this, the 14-day RSI formed a “positive divergence” since last year which signifies a bullish sign. Let us talk about a specific milestone that this cryptocurrency attained in the recent past. 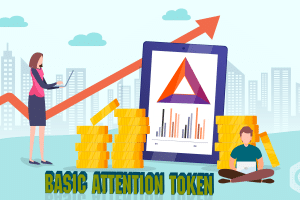 The ADA remained range bound from December 28 to January 08 as the cryptocurrency rallied from a low of $0.00001075 to a high of $0.00001344 which is a 25 percent return within 11 days. Based on the current scenario, the next support level could be $0.040.